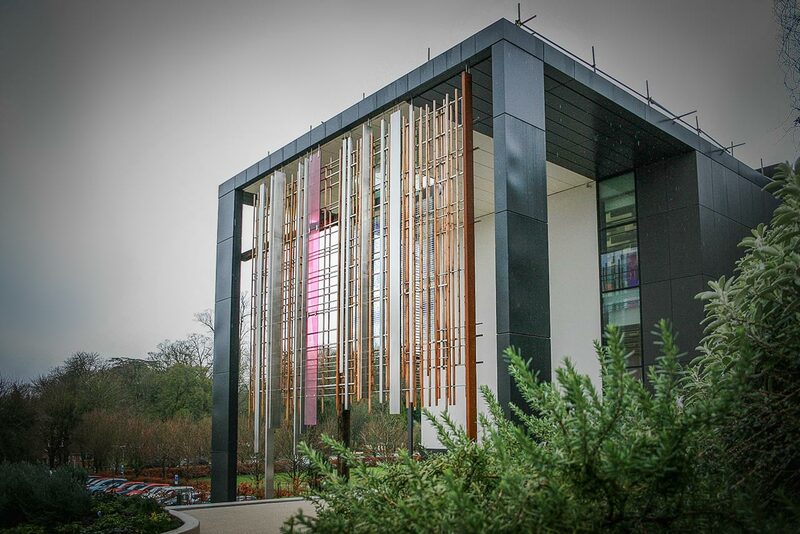 The St Alphege Learning & Teaching Building at the University of Winchester is positioned on a steeply sloping site close to the campus entrance and is adorned by a large, external artwork made by Littlehampton Welding. 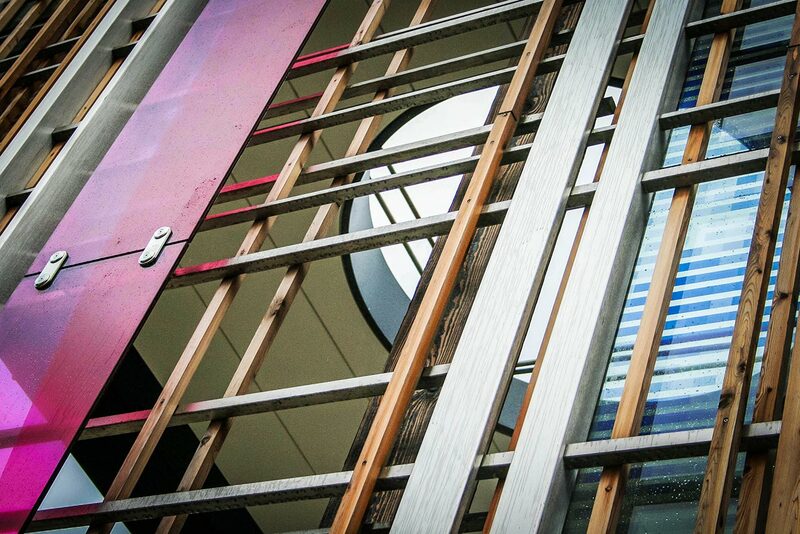 The distinctive piece appears to hang from the twelve metre high, steel framed portico which provides an open-air covered area for seating and gatherings. 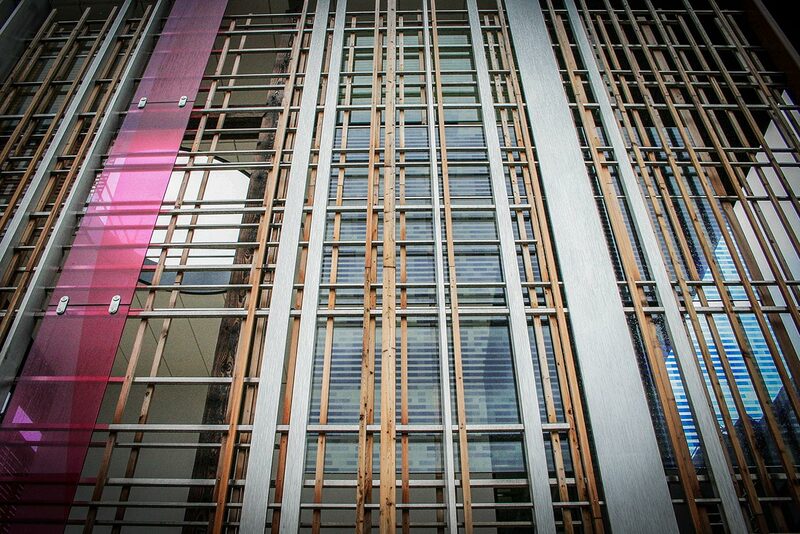 The construction forms a multi-layered lattice to the façade of the building and was designed by architectural practice Design Engine in consultation with vice-chancellor Professor Joy Carter who wanted a piece that would reflect the university’s Christian heritage. 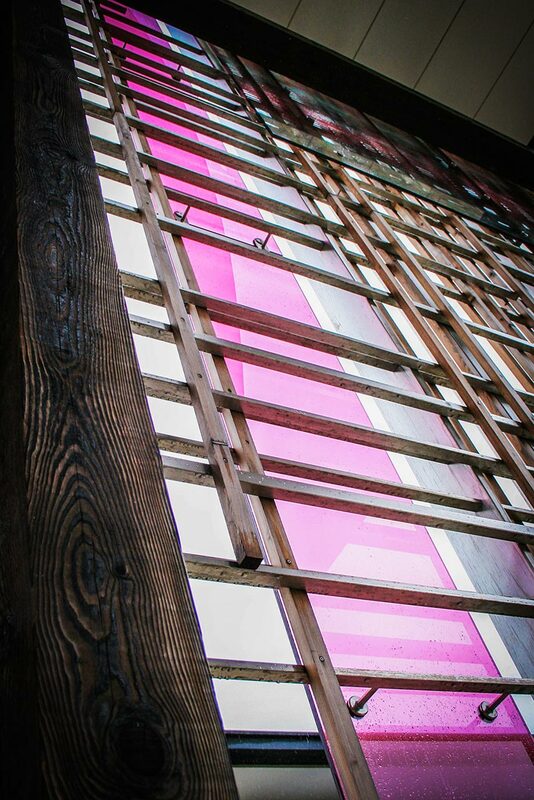 The work has a large cross formed of two Douglas fir timbers and represents Christ surrounded by the apostles who are symbolized by suspended steel box sections: with a weathered mild steel element denoting Judas. While the thirty pieces of silver that he received for betraying Jesus are shown as polished, stainless steel rods that link all of the hanging components which include glass elements. 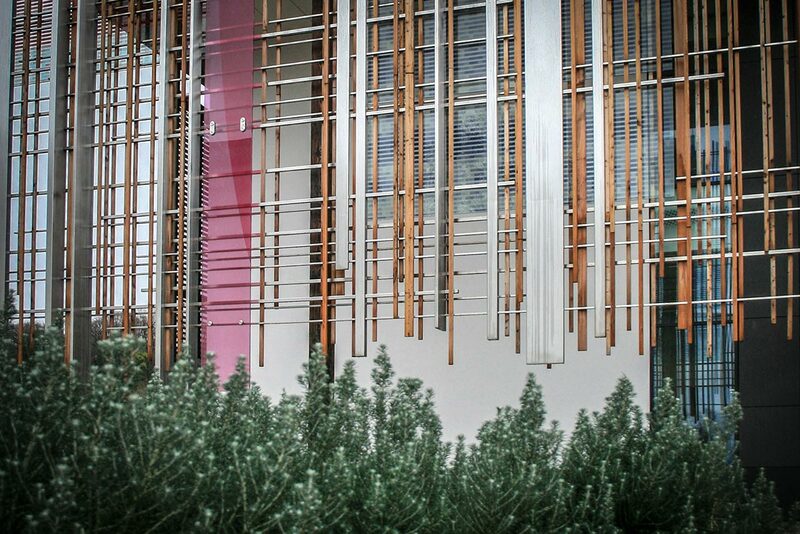 There are also thin vertical strips of larch meant to represent the population of the college. 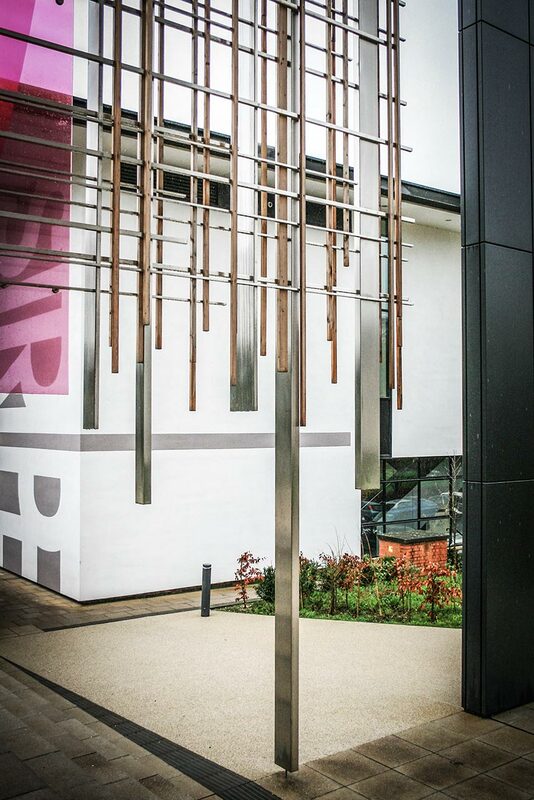 Simply entitled ‘Weave’, an adjacent plaque declares: “The artwork symbolizes the university’s Christian foundation in 1840, it’s location in Winchester and it’s links with Alfred the Great”.